In a mixing bowl, combine cream cheese, ¼ cup sugar and 1 egg and beat until smooth. Stir in 1 cup white chocolate chips until well combined. Set aside. On the stove, fill a saucepan with water and bring to a boil. Turn off heat and set a heatproof mixing bowl over the water. In the mixing bowl, combine butter and milk chocolate chips; stir until its just melted and blended together. Mix in the remaining ½ cup sugar and 2 eggs. In a separate bowl, mix your flour, baking powder, and salt; stir into your chocolate mixture until evenly blended. Pour half of your batter into a greased 9x9 baking pan. Spread the cream cheese mixture over the chocolate layer. Top with remaining chocolate mixture. 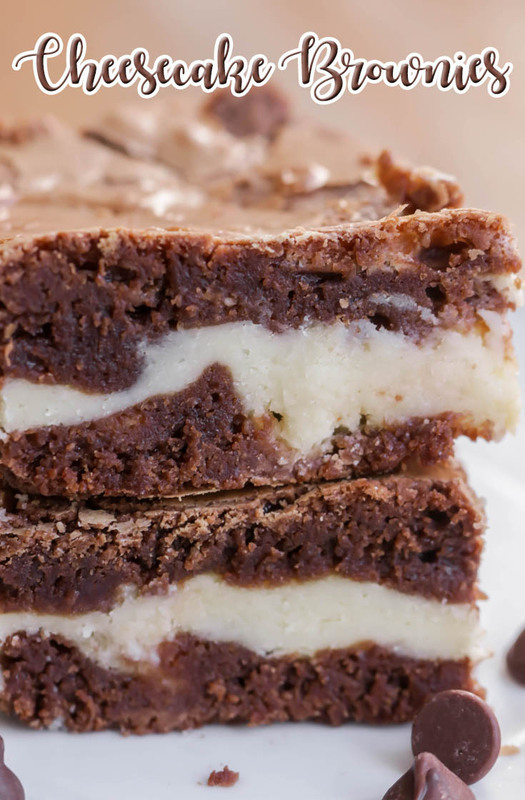 Swirl the top chocolate layer into the cream cheese to make a marble pattern. Bake at 350 degrees for 25 to 30 minutes, or until top is crinkled and center is cooked through. Let cool. ENJOY!